The Fourth Middle East Falun Dafa Cultivation Experience Sharing Conference and related activities were held in Ankara, Turkey, over the last four days of August. 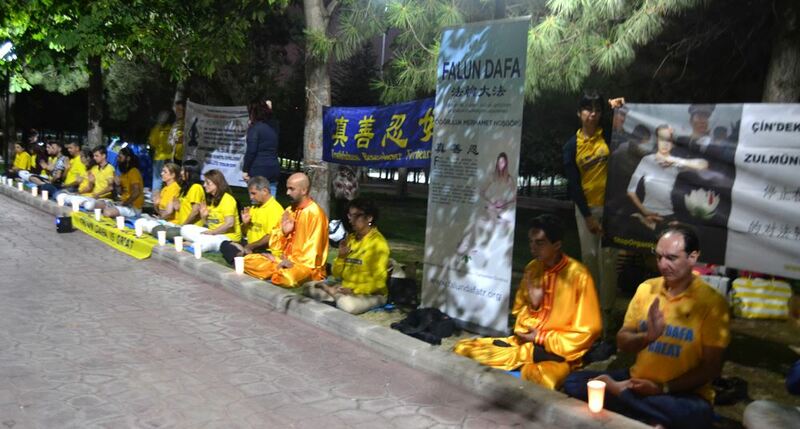 Falun Gong practitioners from Turkey and other countries participated. To inform people about Falun Gong and to raise awareness of the Chinese Communist Party's (CCP) persecution, practitioners held several events the first three days. They set up an information booth in the busiest shopping center in Ankara to introduce Falun Gong to the public on August 28 and distributed 1500 flyers. The group did the exercises together in Ahlatlibel Piknik Park on September 29. That evening, they held a candlelight vigil to commemorate the practitioners tortured to death in the persecution in China. The practitioners demonstrated the Falun Gong exercises in Taurus shopping center on August 30 and distributed origami lotus flowers. Many shoppers learned about Falun Gong and expressed a desire to learn it. Melek, a young girl who started to learn the exercises at the shopping center, said, “I feel energy and I feel comfortable.” Her mother, who is from Iraq, said that she liked Falun Gong and would learn more about it online at home. 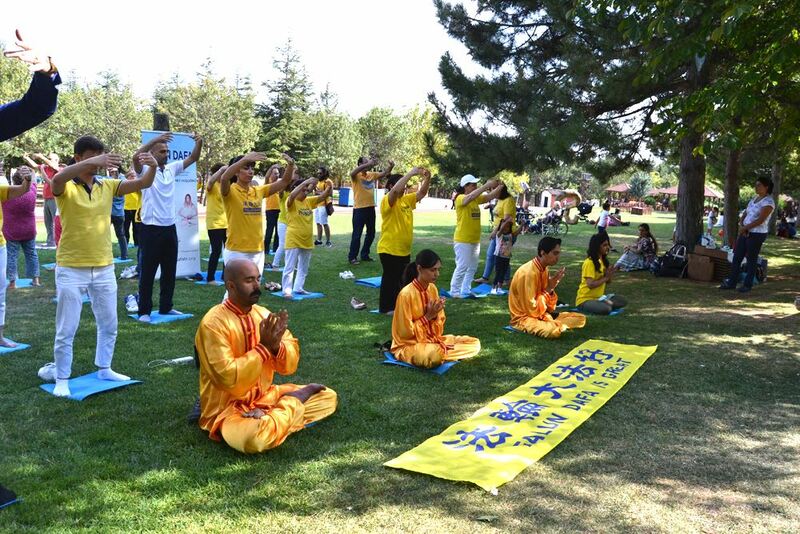 About 50 people learned the Falun Gong exercises over the three days. The conference was held on August 31. 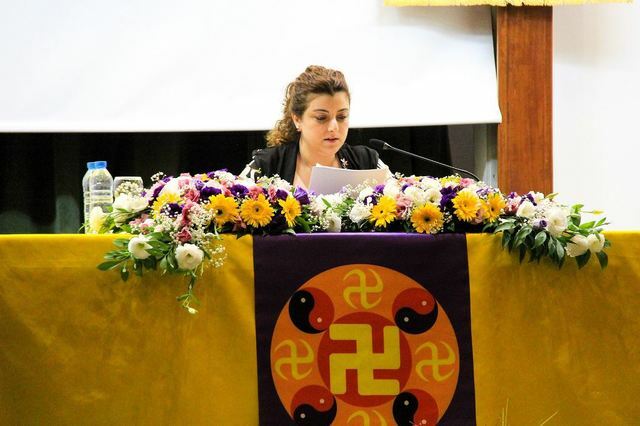 Falun Gong practitioners from Turkey and the Middle East shared their cultivation experiences.